Splatoon 1st Anniversary and Thoughts! 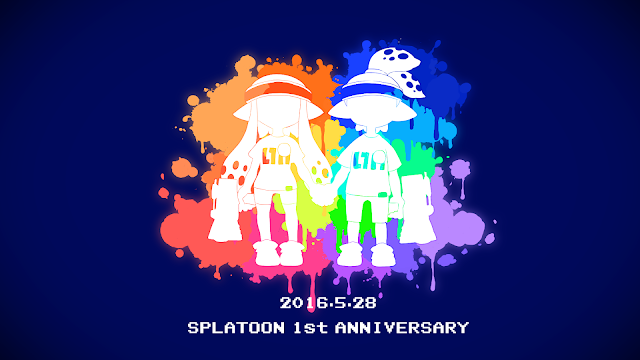 One year ago, a great game known as Splatoon released. Splatoon was an interesting game; it was quite different and filled with a childlike charm. It stood out in the genre of shooting games, with it's vibrant visuals and not-so violent gameplay. At first glance, people had written off Splatoon as a simple children's game, but it proved to be so much more. Splatoon became a new Nintendo exclusive and gained immense popularity. No one saw it coming, but Splatoon had taken the hearts of many and still holds it's popularity to this day. When I first saw Splatoon, it felt like a game from a different time period. Outside of references, graphics, and all of the technical things, a game's design can bring out different emotions in players. Splatoon, was a game aimed towards those of the past, as well as those in the present as well. Featuring wacky colors and graphics, an underwater theme, combined with a new sense of coolness, Splatoon feels like a game from the 1990s, with a touch of new age mechanics and game play. Does the game feel dated then? Not at all, it just makes the game appeal to a wider audience. An audience full of kids and adults alike. 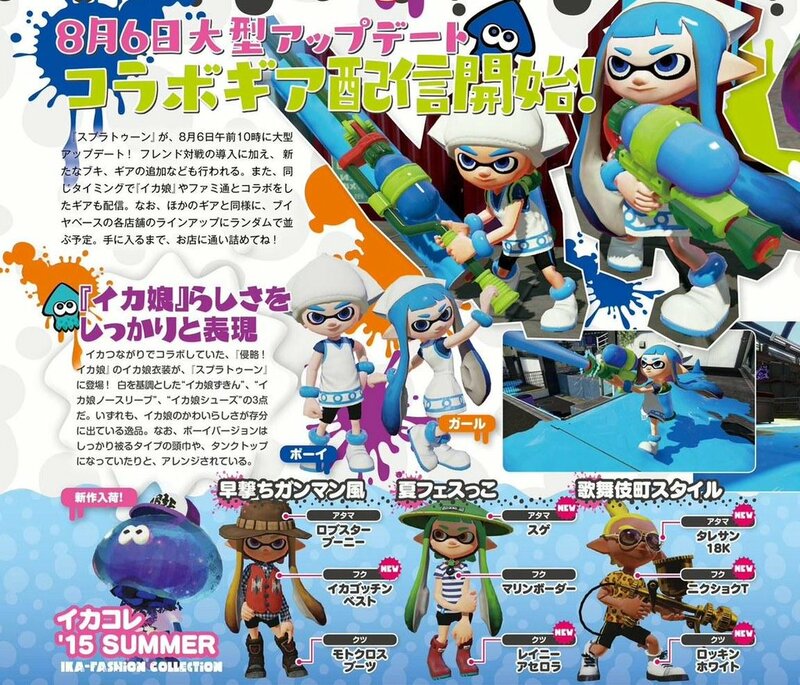 One of the most memorable things about Splatoon are the main characters, specifically speaking the kids that transform into squids, also known as the Inklings. Inklings have a pretty cool character design, and although they have a basic hairstyle that carries over for every character, the changing colors and small customization features have led to quite a variety in appearances. To top it off , clothes add even more of a stylish touch to these squid kids and help players to differentiate themselves from the crowd. If this wasn't enough in game, the designs of Splatoon have encouraged many artists to design their own Inklings with their own appearances, hairstyles, and colors. The simple act of giving these artists inspiration is enough to already make Splatoon stand out from the rest. So that's a lot about what Splatoon does right. I touched more on the gameplay mechanics in a previous post which debuted last year. Now, I'd like to give a few changes or additions I'd like to see in Splatoon. After being immersed in the game for a full year now, and having an amazing time on the competitive multiplayer scene, there's quite a few possibilities I see for Splatoon. 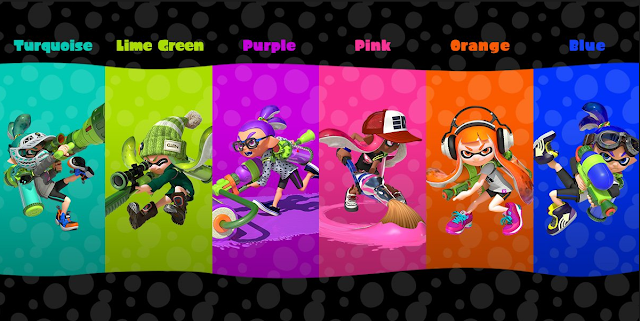 More customization is probably the top thing I'd like to see in Splatoon right now. Inklings have a lot of clothing options, from hats to shirts and jackets. The one thing that doesn't change is a character's shorts. In the future, it'd be great for another set of customization to allow pants, skirts, shorts and other sort of things for an Inkling to wear. Another thing that'd be nice to see is new hairstyles. I understand it may be difficult since hairstyles serve as the tentacles for their squid forms, but it's something that would definitely make characters stand out from each other. On the side, having the enemies playable at some point (the Octolings) is another highly desired feature. 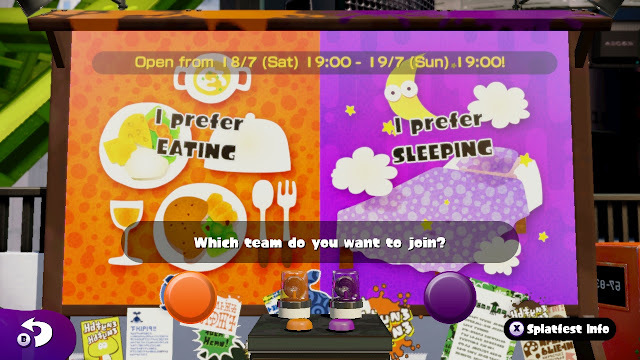 Splatfests in Splatoon are special events that occur every three to four weeks. They are usually region-exclusive and feature a battle between two sides. The topics range from silly ones, to basic ones, to weird ones, and more. For participating, everyone receives Super Sea Snails, which are items used to upgrade gear. As of now, I believe Splatfests are a great thing to bring excitement to Splatoon and definitely keep the game relevant. However, with the same game-mode being used, I believe the events have become repetitive. I would love to see the ranked mode incorporated into Splatfests, or even the addition of a new mode. Just something new to mix up the usual formula to keep things interesting. Games get add-ons and updates all the time nowadays, but usually the players have to cover the costs. For Splatoon, DLC has been completely free as of now. Which, in my opinion, is the way DLC should be handled. 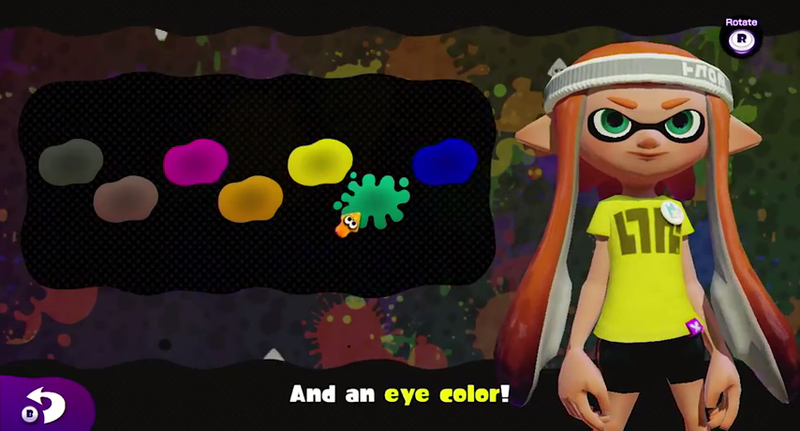 Although this isn't an addition, it is something I hope to see Splatoon stick with throughout it's life time. With Splatoon, it's been a great year. The time really flew by fast, and the game still feels new to this day. I hope that Splatoon continues on Nintendo's upcoming console and I can't wait to see how the competitive scene grows as time passes! I'll definitely still be playing the game for days to come.